Software Product Lines (SPL) are difficult to validate due to combinatorics induced by variability, which in turn leads to combinatorial explosion of the number of derivable products. Exhaustive testing in such a large products space is hardly feasible. Hence, one possible option is to test SPLs by generating test configurations that cover all possible t feature interactions (t-wise). It dramatically reduces the number of test products while ensuring reasonable SPL coverage. 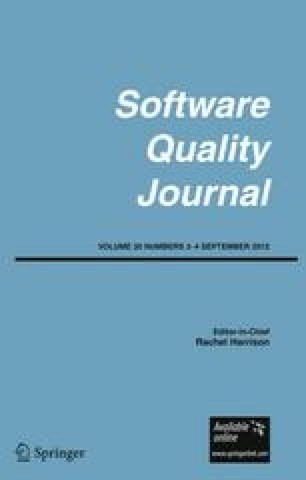 In this paper, we report our experience on applying t-wise techniques for SPL with two independent toolsets developed by the authors. One focuses on generality and splits the generation problem according to strategies. The other emphasizes providing efficient generation. To evaluate the respective merits of the approaches, measures such as the number of generated test configurations and the similarity between them are provided. By applying these measures, we were able to derive useful insights for pairwise and t-wise testing of product lines. The authors would like to thank Professor Andy Schürr for his valuable comments on the paper. This research was partly funded by the NAPLES project funded by the Walloon Region (Belgium). Kuhn, R., Lei, Y., Kacker, R. (2008). Practical combinatorial testing: Beyond pairwise. IT Professional, 10, 19–23. http://doi.ieeecomputersociety.org/10.1109/MITP.2008.54. MoSo-PoLiTe (2011). http://www.sharq.tu-darmstadt.de/projects/mosopolite/. Accessed 8th April 2011.